Alachua County held its annual Veterans Day celebration on Tuesday at the Alachua County Veterans Memorial in Kanapaha Park. The celebration focused on welcoming home returning service members of Operation Enduring Freedom, Operation Iraqi Freedom and Operation New Dawn. 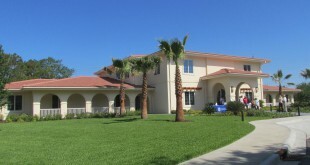 The new Fisher House in Gainesville will allow families of veterans undergoing treatment at the Malcom Randall VA Medical Center a place of comfort during treatment. 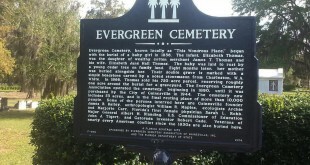 Gainesville’s Evergreen Cemetery, which has been active for 158 years and houses more than 10,000 graves, received the State of Florida Historical Marker on April 12. UF professor discusses life of Martin Luther King, Jr.
Sharon Austin, director of UF African-American studies, shares her knowledge of the civil rights leader's life and accomplishments. Frank Brown still recalls what it was like trying to enroll in college after returning home from Vietnam. It wasn't easy. Many years later, he's among a group of Orange Lake veterans who try to be more welcoming to a new generation of returning soldiers. 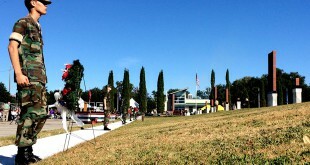 The memorial, in Kanapaha Park at the intersection of Tower Road and Southwest 41st Place, shows U.S. military engagements from the American Revolution to Operation Enduring Freedom, including the Afghanistan War. The Vietnam War may have ended 38 years ago, but local veteran Bob Barnas is rallying the troops – this time for a new chapter of Vietnam Veterans of America in Gainesville. Earth Day is today. Go hug a tree, recycle some bottles and read this list of fun Earth Day facts. Wal-Mart Stores Inc. plans to hire 100,000 returning service members in the next five years beginning this Memorial Day. Honorably discharged veterans are eligible in their first year off active duty and the plan is aimed at limiting unemployment among local veterans.